But the proposed change hasn’t finished happening yet, and it’s still too early to say exactly what it will mean. The text will be tweaked in upcoming negotiations, and the directive has a slim chance of being rejected altogether at another vote from the whole European Parliament 2019. Whatever legislation is passed will then have to be implemented by individual nations, all while facing likely legal challenges. In other words, things are going to get more confusing before they get any clearer. But before that happens, let’s work out where we stand for now. What is the directive trying to achieve? Much of the outrage has been over two parts of the directive: Articles 11 and 13. But their intent, when described by supporters anyway, is pretty benign. Article 11 simply gives publishers the right to ask for paid licenses when their news stories are shared by online platforms, while Article 13 says that online platforms are liable for content uploaded by users that infringes copyright. Both measures attempt to redress an imbalance at the core of the contemporary web: big platforms like Facebook and Google make huge amounts of money providing access to material made by other people, while those making the content (like music, movies, books, journalism, and more) get an ever-shrinking slice of the pie. Not everyone involved in the creative industry is complaining about this, obviously. It’s benefited a lot of people, and a lot of internet users. But it’s obvious that the modern, ad-supported web has left companies in Silicon Valley extremely rich while torpedoing revenue in other industries. The Copyright Directive is supposed to level the playing field. Article 11 is the so-called “link tax,” which gives publishers a right to ask for paid licenses when online platforms share their stories. The obvious target is aggregators like Google News, but opponents worry the law could have broader applications. However, it’s not clear what counts as a commercial platform. What about blogs or RSS feeds that aggregate headlines in much the same way Google News does? What about a Facebook page operated by an individual who also has a huge audience? Could news sites be charged for linking to one another’s coverage? There’s also the question of what counts as sharing a story. An amendment added to the directive in yesterday’s vote says that mere hyperlinks can’t be taxed, nor can “individual words.” But how many words is that? When do enough individual words become a snippet? As is common with the Copyright Directive, it’s difficult to know what is even being asked. Julia Reda, MEP for the Pirate Party and one of the directive’s leading critics, says it’s just not clear enough. “This hyperlinking exception would not work online because no one clicks on a URL that doesn’t include a brief description of what it’s linking to,” Reda tells The Verge. Critics also note that national versions of this law don’t tend to work. In Spain, for example, in 2014, a law was passed that forced publishers to charge news aggregators for sharing snippets. Google reacted by shutting down Google News; local aggregators couldn’t afford the fees and collapsed; and overall traffic to sites fell by as much as 15 percent. A similar opt-in law was passed in Germany in 2013. Google reacted by dropping sites who wouldn’t let their content be shared for free and again, traffic fell and publishers bent the knee. This specter of an upload filter has been framed by critics as the EU trying to “kill your memes.” Proponents of the bill say this isn’t the case, and that previous laws make parodies and memes exempt from copyright claims. Reda claims this doesn’t help. Reda gives the example of someone making a reaction GIF from a popular movie. How would an algorithm judge the context that GIF was being used in? It would just spot the infringing content and take it down. However, some people disagree with this interpretation, and say the text of the Copyright Directive doesn’t actually necessitate upload filters. Instead, it would be something more like YouTube’s Content ID, which scans content after the fact for copyrighted material. The older version of the directive talks about “the use of effective content recognition technologies” to identify infringing material, a phrase that’s now been removed from the text. Exemptions were also added specifically for sites like Wikipedia and GitHub, which both share a lot of user-generated content. If Article 13 does lead to super-powered Content ID, that’s not going to be a good thing. Content ID is known to make mistakes, like taking down a video for the “copyright infringement” of having birds chirping in the background. These sorts of mistakes would only multiply if Content ID had to cover a wider range of material, and getting mistaken takedowns reversed would become a more lengthy process than it is now. Yes! While Articles 11 and 13 have gotten the most attention so far, the new directive does also tighten up copyright in lots of smaller ways. There are concerns over how the directive treats text and data mining programs (or TDM), for example, potentially exposing automated scanners to copyright claims. And one clause, only added recently, might give sports leagues exclusive rights over any images or video of a game, a significant escalation in the ongoing fight over sports GIFs that might extend to fan-taken photos of a stadium before the game. This version of the Copyright Directive now goes into trilogues — a type of three-way dialogue (hence the name) between select members of Parliament, the European Commission, and representatives of member states. This process generally happens behind closed doors, meaning there’ll be little public oversight or news coming out of the process. It’s possible that some of the more troubling parts of the directive will be removed, which is what Axel Voss, the MEP who’s been leading the charge on the legislation, has promised. But it’s also possible the directive will stay much the same. After trilogues, the directive will face a final vote from the European Parliament some time in spring 2019. That could be as early as January, or as late as March. This vote will be the last chance to reject the directive entirely. It’s worth noting that although the entire legislation passed with a decent majority (438 in favor versus 226 opposed), the vote on specific amendments was closer (393 versus 279 for Article 11, and 366 versus 297 for Article 13). This shows there was sizable opposition to these worrying parts. The vote will also be taking place close to EU elections in May, giving vocal citizens good leverage if they want to persuade their representatives to take up a specific stance. But having got this far, it’s unlikely the directive will fail to pass altogether. Most experts The Verge spoke to say that’s just not how the EU tends to work. “The European Parliament is a body of compromise. If the agreement in the trilogues goes a certain direction, it’s super hard for the plenary to overturn that,” Gus Rossi, global policy director of US nonprofit Public Knowledge, told The Verge earlier this week. If the final vote goes through, member states should have two years to implement the directive into their own legislation (the usual time period for this sort of law). What happens then is anyone’s guess. Reda suggests that if large platforms do have to introduce filters, it could lead to services stopping in Europe altogether — as we saw after GDPR. “They might decide to just geoblock Europe, and just make their services not available to people accessing the internet from Europe,” says Reda. “They won’t have a lot of good options.” This would accelerate the balkanization of the web, as the regulatory landscapes of different geographic regions drift away from one another. But that’s yet to come. 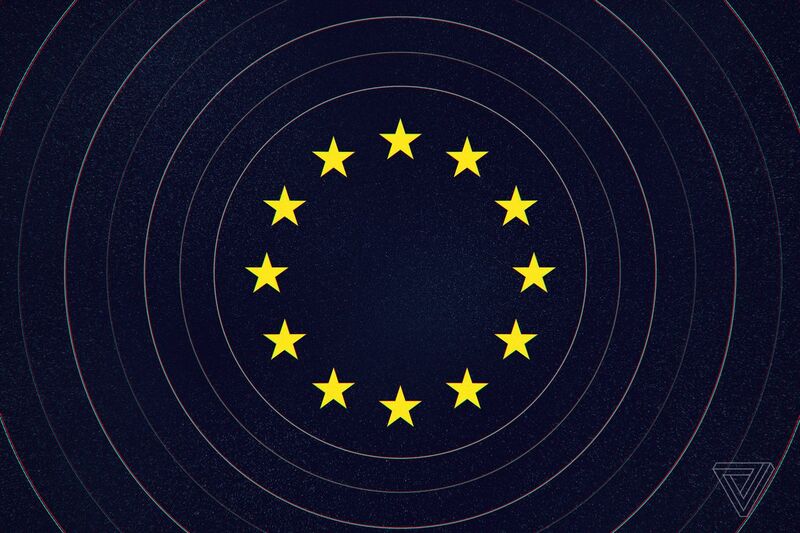 The bad news is that the fight over Europe’s internet is far from over. That’s the good news, too.